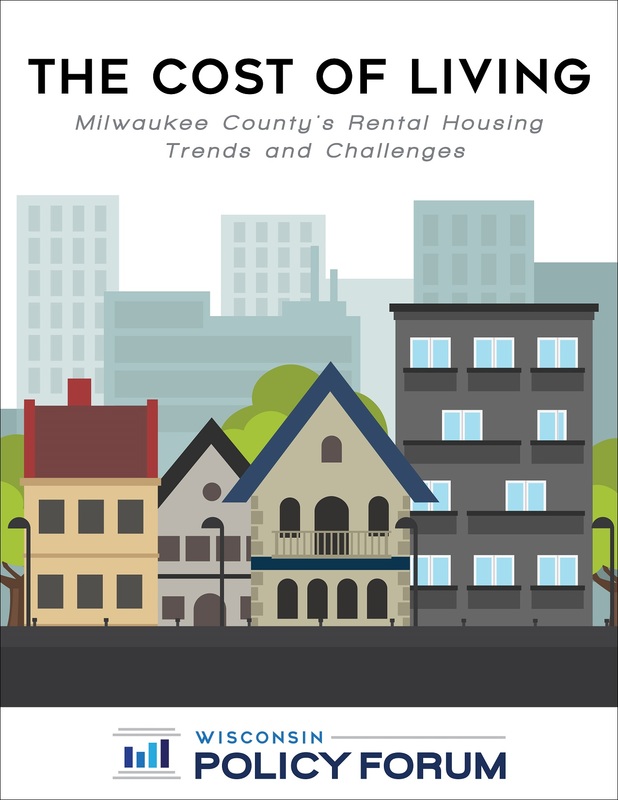 Our latest report finds that low incomes, as opposed to high rental prices or the availability of rental units, are the greatest single barrier to affordable housing in Milwaukee County. The report assesses the rental housing landscape in the county, comparing affordability and availability of rental housing to neighboring counties, as well as to Dane County and peer counties nationally. It also explores changes in rental housing trends since the Great Recession. Milwaukee County has the highest percentage of renter households in the Midwest. More than half (50.6%) of Milwaukee County households rented their homes in 2016; only 10 counties in the U.S. of similar or larger populations had higher rental rates. The median cost of renting a home in Milwaukee County is relatively low compared with peers. The median monthly rent in Milwaukee County was $834 in 2016, which was lower than most surrounding counties, Dane County, Hennepin County, and Cook County. It was also much lower than the national median of $981. There is a significant gap in available rental units to meet the demand from low-income renters. While 42% of renter households in Milwaukee County earned less than $25,000 per year in 2016, only 9% of rental units charged monthly rents those households could afford.